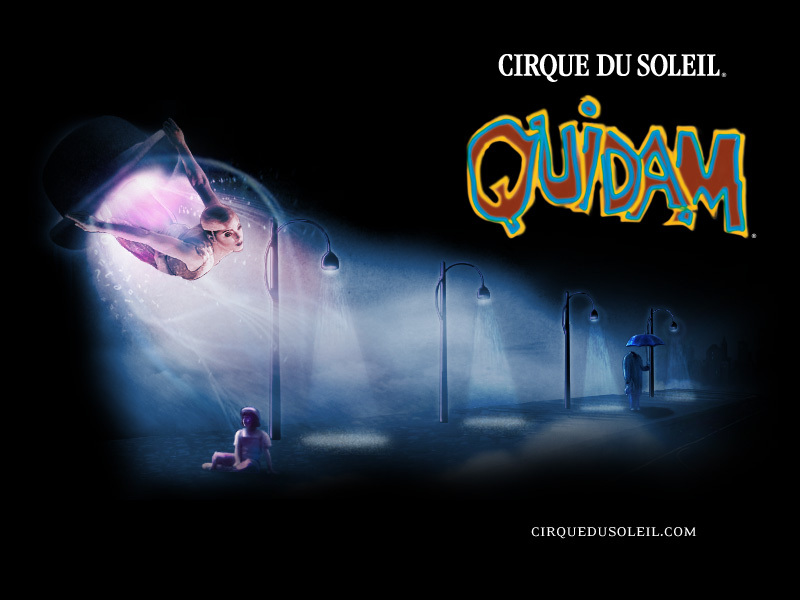 Tomorrow I will be driving to St. Louis to enjoy Quidam, one of the Cirque du Soleil shows. This will be their last performance in the USA and they will be traveling to Dubai after St. Louis. I am glad to say that I got first row tickets and I can't wait to enjoy this show. I will let you know how that goes and hopefully I won't get lost. 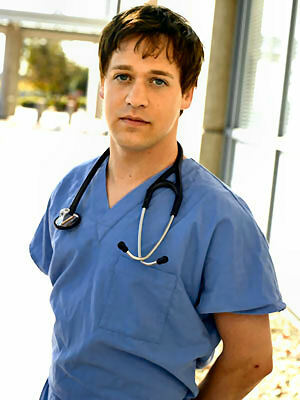 One of my favorite TV show is "Grey's Anatomy", and one of my favorite characters is George O'Malley. Finding out that T.R. Knight is gay really doesn't surprise me, my gaydar kind of knew it. What would be a little bit disappointing is if the writers now decide that George should be gay, I hope that they understand that gay actors can portray straight characters without a problem. Good for TR coming out and if I liked him before now I feel like I adore him! I didn't want to get hooked on this TV show. I did as much as I could to avoid watching it, I already watch too much TV but I have to say that the two main reasons that I am watching every week are Joey Lawrence and Mario Lopez... my God they look incredible with those tight pants and the way they move... I think I watch their dances twice and one of them in slow motion just to make sure I get a good picture of everything. Well, I have to say that now I am scaring myself I sound like a stalker. Anyway Dancing with the Stars has two very good reasons to be watched. 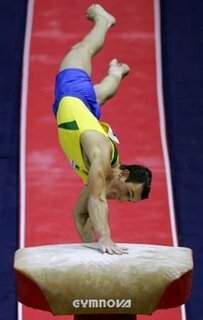 Germany's Fabian Hambuechen participated in the39th Artistic Gymnastics World Championships in Aarhus, Denmark, October 19, 2006. I do not know how old he is, and he looks very, very young but you can't deny that he is very, very cute and he has such a great body! 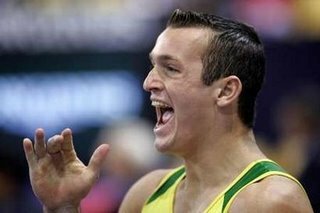 The 39th Artistic Gymnastics World Championships are being held at Aarhus, Denmark and I don't know about you but I think that Diego Hypolito of Brazil (the current World Champion in the floor exercise) is one of the cutest ones. The America's Calendar 2007 is an initiative of Freedom Is Not Free, an organization that is helping more than 18,000 service men and women that have been injured in the war. Please visit their website if you would like to buy one calendar and help this outstanding cause. Former Marine Corps Sgt. Rudy Reyes, of Kansas City, Mo. The photo that appears on the cover is of former Marine Corps Sgt. Rudy Reyes, of Kansas City, Missouri. After along period of time without being able to post... I'm back. I had an overwhelming load of work that I had to take care of and also do some rehabilitation after a small surgery. Colin Carroll of Ireland and his coach Graham Little, are in Sakai, Japan for the sumo world championships. Although Carroll is battling outrageous odds in his death-defying quest, he is planning to add sumo glory to his other world title -- in elephant polo.